In recent years, guitarist Bill MacKay has served as Ryley Walker’s six-string sparring partner, built luminous soundscapes with Rob Frye (Bitchin Bajas, Cave) and led the jazz-inflected Darts and Arrows collective. A varied resume! MacKay maintains this healthy sense of adventure on Esker, his eclectic Drag City debut. 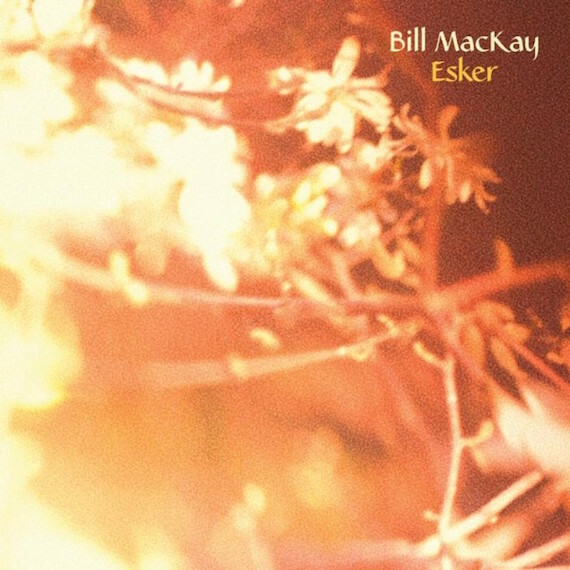 Each of the 10 absorbing instrumentals here is a world unto itself, whether it’s the mystical, slide guitar + piano on the opening “Aster” or the jaunty ragtime of “Candy.” MacKay has chops a-plenty, but the album never feels fussy or ostentatious. There’s a looseness and ease to every moment here; the paint is still fresh on the canvas, so to speak.